British-born Salvation Army officer, Major James Barker was one of the early pioneers of The Salvation Army’s social work in Australia. A country lad, James Barker moved to London from Ipswich in order to improve his employment opportunities as a compositor in the printing business. Whilst travelling in the upper deck of a London Bus he was attracted to The Salvation Army who were conducting an open-air meeting nearby and was converted at the Bethnal Green Corps. 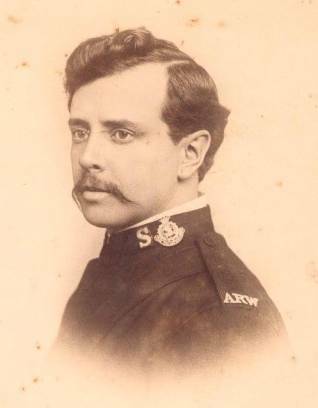 His conviction led him to become a Salvation Army Officer, and he was instrumental in producing the first War Cry publication in England in December 1879. The Salvation Army officially commenced its work in Australia in 1881 with the arrival of Captain and Mrs Sutherland (although it dates its actual commencement back to 1880 when Gore and Saunders held their first meeting in Adelaide Botanic Gardens). James Barker was chosen to be sent to Australia to expand The Salvation Army's work throughout the colonies. Accompanied by his wife Alice (they were married the day before sailing for Australia) the Barkers headed for the Antipodes. Due to labour problems on the Adelaide wharf, the ship was forwarded to Melbourne where the Barkers disembarked not knowing a single soul. However, word of their coming preceded them and amongst those welcoming them was 74-year old Dr John Singleton, the founder of several Christian-oriented welfare agencies. Singleton saw in James Barker of The Salvation Army a successor for his work. He introduced Barker to visitations of prisoners in the Melbourne Goal. Later Barker and other Salvation Army Officers were given permission by the authorities to hold religious meetings and interview the prisoners privately. Barker recognised the need for institutionalised work to assist the prisoners on their release from gaol. Consequently, in Melbourne, in December 1883, a Prison-Gate Brigade Home was opened in Carlton; it was The Salvation Army's first institution anywhere in the world. Before long Alice and James Barker were running Prison-Gate Homes in Melbourne, Sydney, Ballarat, Auckland and Castlemaine, and also Rescue Homes (for women) in Melbourne, Geelong, Ballarat, Sydney, Brisbane,Christchurch, Wellington and Dunedin. The Army in Australasia expanded rapidly under the Barkers. Fifteen months after they arrived in Melbourne by mistake, the Barkers conducted the first Salvation Army Anniversary Campaign in the Melbourne Exhibition Building (then Australia's biggest auditorium) attend by a capacity crowd. The Social Wing of The Salvation Army also grew rapidly under the Barker's enthusiastic leadership. So much so that they were recalled to International Headquarters in London in the mid-1890's to build up the Army's Social Wing there. Barker dreamed of the day when he would obtain the same access to English prisons as he had in Australia. In 1901 he finally achieved it, but, on his first such visit he became ill, and some little time later succumbed to diabetes and was promoted to Glory in May 1901. Alice Barker continued her work until "promoted to Glory" during the influenza epidemic of 1918. Chaplain William ‘Fighting ‘Mac’ McKenzie (1869-1947) was a man of principle and courage. He was one of many Salvationists who gained prison sentences for conducting street marches: in McKenzie's case, a week of incarceration in Charters Towers, Queensland, with his comrade, Lieut Morrison. McKenzie, who served in various appointments, including a stint on the War Cry magazine staff, is better known as a pioneering chaplain to the 4th Battalion of the Australian Infantry in the First World War and - later - a leader of the Army who gained the high rank of commissioner. "Fighting Mac", as he was known to the troops, was awarded the Military Cross for his personal bravery and spirit of sacrificial service. 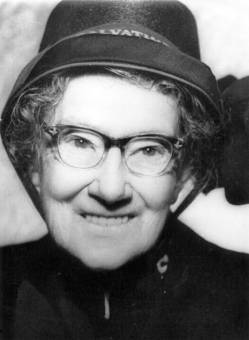 Mrs General Minnie Carpenter recorded that: "Chaplain McKenzie made Christ real to thousands of men... Up and down the fire-swept ridges he followed them, carrying food and water; tramping miles for their mail; by night cutting steps over treacherous patches which the boys must travel in the morning; praying with them; helping them to live; supporting them as they died. Burying literally hundreds of brave lads fallen in battle, he spent far into the night in his dim dugout, writing to their relatives." 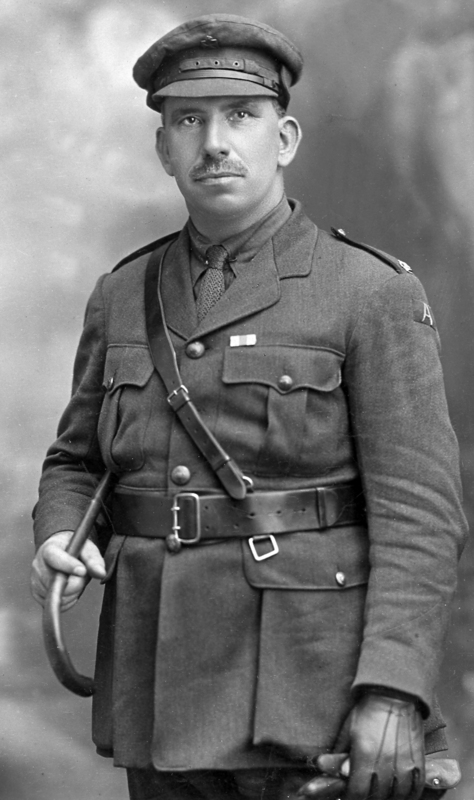 Brigadier Sir Arthur McIlveen, MBE was the second of The Salvation Army's officers to earn the nickname "Fighting Mac" from Australian troops. He spent his boyhood mining tin and became a Christian in a lonely camp in the Queensland bush. As a young Salvation Army officer, had also applied to go as a chaplain to the Great War. His commanding officer, Commissioner Hay, had been afraid to appoint him, however, as - knowing McIlveen's willingness to go into danger - Hay feared "he would not see the war out for an hour before being shot down". One of the more unusual acts of Mac's pre-WWII ministry was to campaign successfully against a women's wrestling match in Broken Hill, NSW, which he saw as an assault against the dignity of womanhood. As a result of his protests the bout was cancelled. During the Second World War, with the Rats of Tobruk, Brigadier Arthur McIlveen came into his own. Along with several other brave Salvationists - men serving as chaplains and Red Shield representatives -McIlveen defied imminent death to "be Jesus" to the men he served. The Commanding Officer of the AIF's 29th Battalion wrote to The Salvation Army to commend its work, stating that "your Brigadier McIlveen was probably the most blitzed man in Tobruk; in the Red Shield store or out of doors he did his duty, regardless of danger". Eva Burrows AC is only the second Australian to be elected as General of The Salvation Army, a position she held from 1986 to 1993. She is also the second woman to serve in this role, after the Founder’s daughter Evangeline Booth (who served as General from 1934 to 1939). Born in 1929, Burrows was also the youngest person ever elected to the office of General. A keen student, she earned her BA at Queensland University and was commissioned an officer in London in 1950. While completing post-graduate studies at London University, Burrows served in corps (church) work. She also served variously in pastoral, missionary, training and administrative roles in her native Australia, the United Kingdom, Africa and Sri Lanka. Burrows was elected General on 9 January 1986 on the fourth ballot. She assumed command on 2 May. Her policy achievements included the return of The Salvation Army to communist countries which had previously banned its ministry, the re-structuring and separation of the International Headquarters and the United Kingdom Territory, and a strong stance against apartheid in South Africa as "a philosophy of life that is contrary to the teachings of Christ". General Burrows was known as the "people's General". By postal ballot, The Salvation Army's High Council - with an almost unanimous vote -chose to extend the General's term an additional two years, to bring to fruition substantive initiatives. The General served in that capacity until her retirement in 1993 and lives in Melbourne, Australia. General Burrows’ warmth, wit and passion while in office and in her retirement are well-matched with an astonishing memory for names and an ability to communicate with people from all ages and backgrounds. Sometimes referred to as The Salvation Army’s "Global Parent" while in office, the General was a strong influence for renewal in The Salvation Army in Australia and throughout the world. Eva Burrows died (or in Army terminology was 'Promoted to Glory') on the 20th of March 2015. Lieutenant-Colonel Marjorie Scoble was an Australian nurse and Salvation Army Officer. For 40 years Marjorie Scoble retained identity with Bethesda Hospital where she dedicated her time and talent to this ministry, equipping herself in many fields of nursing, tutorials and administration. She worthily earned the respect of her fellow nurses and the esteem of the medical profession, and served as Matron of Bethesda for her final 13 years before retiring in 1973. Her rewarding career began as a teacher at the Oakleigh Central School from 1928 to 1932. Being called for full-time service as a Salvation Army Officer, she entered the Melbourne Training College in 1932 and upon graduation was appointed to The Salvation Army's Bethesda Hospital to take up nursing. As a nursing sister in the Australian Army Nursing Service during World War II, Captain Scoble had the distinction of being one of the few women to have been awarded both the Africa and Pacific Stars, covering her military service for six years in the war zones of the Middle East and New Guinea. After the war Marjorie Scoble received a Centaur Memorial Scholarship allowing her to obtain Diploma qualifications, and attended the Salvation Army's International College for Officers in London in 1956. 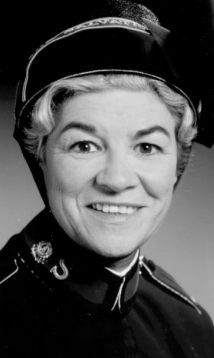 In 1981 The Salvation Army Nurses Fellowship recognised Lieut-Colonel Scoble's outstanding contribution by presenting her with the "Centenary Nurse of Distinction"award. Her devotion to The Salvation Army's Christian ministry, of which nursing was but a part, was evident to all who came in contact with her.She was a capable leader and speaker. In retirement she remained active until frailty overtook her. Lieutenant-Colonel Marjorie Scoble was "promoted to glory" in October 1999. 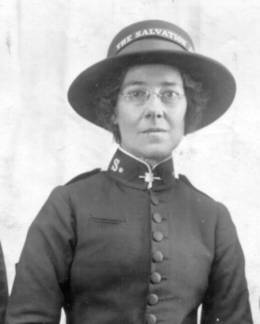 Mary Anderson was a Salvation Army Officer and her first 12 years after graduating from The Salvation Army's Training College in 1901 were devoted to Corps (church) work. Her concern was always for the poor, the disadvantaged and those with special problems. In 1913 she was appointed to the Melbourne Police Court to assist women and girls in distress. The stories of her work in the courts are legend. She was never concerned with religious denomination, and she never gave up. She had a wonderfully spontaneous sense of humour and also the knowledge and tenacity of purpose to see a task through, which meant that many of the women and girls who came before the magistrates were able to be assisted and rehabilitated. The officers of the court and police force placed great reliance on her judgement and many women were kept out of prison by her intercession and acceptance of responsibility for them. From 1917 the matronship of Salvation Army women's shelters were added to her responsibilities. Mary Anderson was a highly respected Justice of the Peace, was given a Life-Governorship of the Royal Melbourne Hospital, invited to become an Associate Member of the National Council of Women, appointed a Life Member of the Honorary Justices Association, and was the first Vice-President of the Probation Officers Association of Victoria. "... has, for 25 years carried on a sacrificial and remarkable blessed ministry as Police Court Officer in the City of Melbourne, highly appreciated by Magistrates and the public, also powerful in influence among wrongdoers of many degrees." 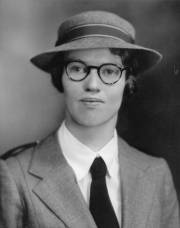 She retired in 1935, but continued her police work for a further 11 years,and was honoured in the Queen's Birthday Honours of 1956, receiving the MBE from the Governor of Victoria. Mary Anderson ("the Little Major") died in 1956. Newspaper writer E. W. Tipping devoted his whole feature "In Black and White" to a description of her funeral service, and the City of Melbourne paid tribute to a selfless"Advocate for the Troubled".